Cover albums are tricky and rarely successful but this one of the most satisfying records of Allman's illustrious career. My voyage through the history of the blues has been quite an education. Part of that discovery led me to original and/or classic versions of many songs that later became famously associated with rock and roll artists. It surprised me, but I found myself falling a little out of love with some of those rockers when I went to the source. There were exceptions. Some bands did wonderful versions of those songs to the point it didn't matter who got their first or even who did them best. One of the bands that rose in stature with me is the Allman Brothers Band, who I already loved. 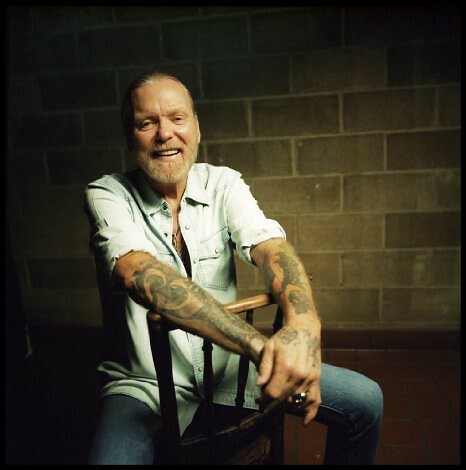 They were skilled musicians and had a wide enough sound palette to make those songs their own, and Gregg Allman is one of a handful of rock vocalists capable of convincingly sing the blues. It's been 14 years since he last released a solo album -- eight since he released a studio set with ABB -- and he wisely teamed with Grammy-winning super producer T Bone Burnett for his return. Low Country Blues is a 14-track album consisting mainly of covers of those great blues songs made famous by Muddy Waters, Magic Sam, Otis Rush, just to name a few. Cover albums are tricky and rarely successful because an artist is competing with material that exists in the zeitgeist in a preferred form. Beyond the zeitgeist and pop culture consciousness, I've been known to be picky and unyielding in my listening habits and I've declared some artists and songs off-limits in my mind. 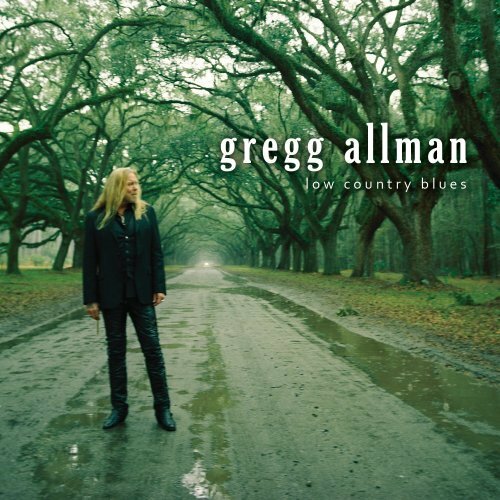 I like Gregg Allman so I was willing to believe he could pull these off but I didn't expect most of my favorites on Low Country Blues to be the songs I already loved. Burnett's production presence is immediately felt. It works well on Low Country Blues in part because it makes it so ascetically different from an ABB record. Another way LCB stands apart from ABB records is the lack of instrumental showmanship, which is a shame because there are some great players on this record (Doyle Bramhall II and Warren Haynes on guitar, pianist Dr. John, and Allman's organ). Two of the best songs come from West Side legends Otis Rush and Magic Sam. Rush is one of the greatest bluesmen and is my favorite. I've heard very few covers of his material – whether songs he actually wrote or those he covered and commanded – that passed my test. I'll stick with Rush but this version of "Checking On My Baby" stands on its own and reminds me what I love about the original. I don't know what took so long but Magic Sam Maghett, a West Side pioneer, is a recent discovery for me. I didn't get to him first but I was spellbound when I did. He's one of the great blues singers and his West Side Soul is an essential album for any music fan. Both Rush and Sam got their start at Cobra Records. As he did with Rush, Allman chooses a Cobra side from Sam. He couldn't have summoned Sam's passion and intensity on "My Love is Your Love" at his peak and while he is still a great vocalist, he wisely opts to sing this from a different place and is able to capture the essence even if he can't match the original. I first heard Skip James' wickedly haunting "Devil Got My Woman" on the soundtrack to Martin Scorsese's history of the blues project. It's a deep blues made deeper by James' spooky-as-Hell falsetto. I didn't expect Allman to be able to approach that and he doesn't, but expanding from James' solo acoustic reading to a full-band arrangement allows him to provide the right kind of murk. The impact isn't the same but Allman again captures the essence and spirit, delivering an excellent performance. "Please Accept My Love" was a signature song for B.B. King and remains a favorite. Allman takes this one and gives it a harder doo-wop edge, reimagining the song and giving it a different context. King sang it often as a plaintive, rhythmic ballad with some doo-wop underpinnings. Allman plays that aspect up more. He didn't take an old song and play it in a new style. He took a classic song and played it in a classic style that just happens to be different from the original. Many artists travel back to their roots at some point in their career but few do so as successfully as Allman does on Low Country Blues. It's not only the best thing he's done in 25 years; it's one of the most satisfying records of his illustrious career.